Showcase your American pride and patriotism and celebrate the greatest country in the world, with the America Stapled Wall Calendar. 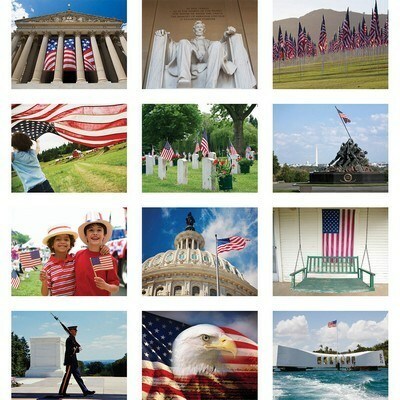 This 13 month calendar features important American monuments and symbols, along with patriotic quotes. Showcase your American pride and patriotism and celebrate the greatest country in the world, with the America Stapled Wall Calendar. 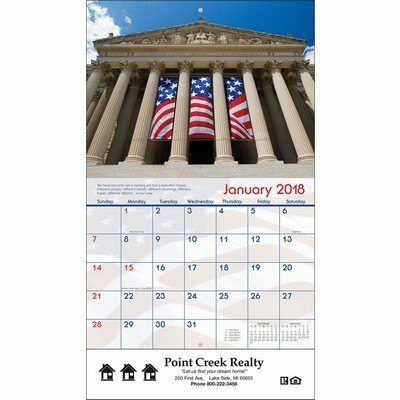 This 13 month calendar features important American monuments and symbols, along with patriotic quotes. The date grids have ample space to jot down important appointments and notes. It is one of the cost effective ways to remind your customers of your company’s service and commitment throughout the year. 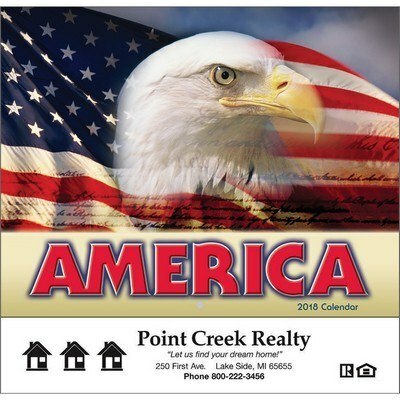 Add your company’s logo and other information on the calendar and give it away to manufacturers, industrial suppliers, plastic businesses, and companies wanting to show their American pride and patriotism, to boost brand recognition and outreach.